In what could possibly be the perfect combination of art and history, the New Castle Courthouse Museum is currently hosting an exhibit displaying the work of legendary Delaware sculptor Charles Parks. This stunning collection of sculptures features a number of prominent Americans, as well as some special Delawareans, and it is absolutely worth the journey 20-minutes south of Wilmington to the town of historic New Castle. If you are already a fan of Parks&apos; work, then you probably already have your trip planned. But if you aren&apos;t familiar with this classic Wilmington artist, let&apos;s take a few minutes to get to know the man behind the sculptures. Charles Parks was born in Onancock, Virginia in 1922, and he served in the air force throughout World War II before moving on to earn degrees from the University of Delaware and the Pennsylvania Academy of Fine Arts. During his career, which spanned more than 50 years, Parks received a number of prestigious awards, including a Gold Medal for Exemplary Contributions to the Arts from the state of Delaware, the Watrous Gold Medal from the National Academy of Design, the Meiselman Prize for Classical Sculpture from the National Sculpture Society, the Gold Medal from the National Sculpture Society Annual Exhibition and the Tiffany Foundation Award for Creative Sculpture. He and his wife, Inge, established the Charles Parks Foundation in 2003, and they donated more than 300 of his sculptures to the state of Delaware in 2011. The Charles Parks exhibit you will find at the New Castle Courthouse Museum includes some of his most interesting work. 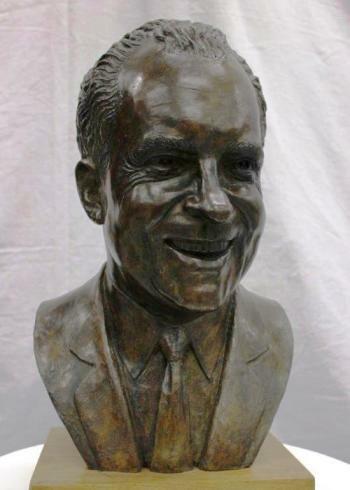 You will see sculptures of famous American presidents like Richard Nixon, Gerald Ford, and George W. Bush. There is also a sculpture of a Minute Man, as well as many other significant historical figures. TIP: Just a few miles away, at New Castle’s Holy Spirit Church, you will find what is arguably Charles Parks finest work, the Our Lady Queen of Peace, a 32 foot tall sculpture of the Blessed Mary. While you are at the museum for the Charles Parks exhibit, make sure that you also spend some time exploring Emeline&apos;s Journey on the Underground Railroad. This interesting exhibit highlights the story of Emeline Hawkins and her family as they made their way north via the Underground Railroad after escaping slavery back in 1845. Coming soon, the museum will also feature an exhibit that tells the different stories of Dutch, Swedish, and English settlers that were some of the first to call New Castle home. While you are in New Castle to see the work of Charles Parks, another place worth the stop is the Arsenal building on Market Street. Here you will find his famous statue of William Penn standing right outside the front of the building. 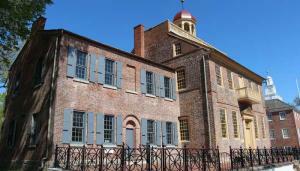 Anyone fascinated by history will also want to take some time to explore other historic sites like the Amstel House, the Read House and Gardens, and the historic New Castle Presbyterian Church on the Green. And once you work up a decent appetite making your way around New Castle, we recommend stopping at Jessop&apos;s Tavern or Cafe New Castle for lunch! 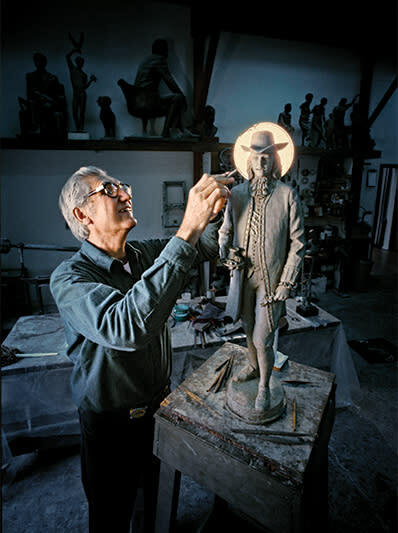 Even though he passed away in late 2012, Charles Parks continues to inspire people today through the sculptures that he dedicated his life to creating. Don&apos;t miss your opportunity to see some of his most interesting work for yourself in historic New Castle.